Nobody really knows what Ashoka the Great looked like. Ashoka the Great was an Indian Emperor who ruled 274–232 BC. In his early reign, he embarked on a number of military conquests which spread the size of his empire over much of India, Pakistan, Afghanistan, Bangladesh, Nepal, and even parts of Iran. However, during one of these wars of conquest, Ashoka became repulsed by the number of deaths that he witnessed and decided to reject violence for the rest of his life, embracing Vedic Buddhism and vegetarianism. Ashoka the Great’s greatest accomplishment was his non-violent propagation of the Buddhist Faith across Asia, and even into Europe and Africa. He sent his only daughter Sanghamitta and son Mahindra to spread Buddhism in Sri Lanka. Ashoka also sent many prominent Buddhist monks to modern Kashmir, Afganistan, Bhutan, China, Mongolia Cambodia, Laos, Burma, Thailand, Vietnam, Persia, Egypt, and Greece. Ashoka’s efforts helped to spread Buddhism across East Asia, where it has become the dominant faith of that region. Ashoka’s efforts to spread Buddhism in the west were much less successful. Nevertheless, there is evidence that a small Buddhist community began to develop at the Greek city of Alexandria in Egypt at this time. It has even been suggested that certain Ptolemaic Greek philosophers were influenced by Buddhism and that they in turn influenced the early development of Christianity. Nobody really knows what St. Paul looked like. 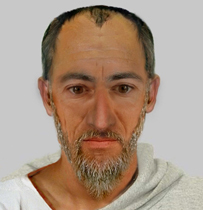 But this facial composite created by forensic experts at Landeskriminalamt, Germany may be a good estimate. In approximately 50 AD, when St. Paul set off on a ship from Troas, crossing the Aegean and arriving in the shores of Europe, he probably did not know the significance that this move would have in world history. It was here that Christianity made it’s first documented appearance in the continent that would later become virtually synonymous with “Christendom” throughout the Middle Ages. St. Paul referred to himself as the Apostle to the Gentiles and was also one of the main contributors to the New Testament Bible. Thirteen epistles have been attributed to him. His writings are still cited today as an authority on Christian behavior and belief. Nobody really knows what Jesus Christ looked like. While the historicity of Jesus Christ is disputed, both Christians and Muslims believe him to have been a prophet of God, and Christians believe that he was the son of God. Many miracles have been attributed to Jesus, such as being born of a virgin, healing leprosy, curing the blind, exorcism, and resurrection. However, belief in Jesus’s supernatural abilities were not that out of the ordinary as many prophets, soothsayers and magicians of the time were ascribed a similar list of traits. What Jesus became most renowned for were his moral sayings. Jesus taught his followers the golden rule (“do unto others as you would have them do to you”), to love even their enemies and oppressors (“turn the other cheek”), and to shun violence (“those that live by the sword die by the sword”). Whilst Jesus was the founder of Christianity, he was himself a Jew and was reluctant to evangelize amongst the gentiles or to cure them of their sicknesses. (Mathew 15:24) The task of spreading Christianity outside of Judea would fall upon his later apostles after his death, the most noteworthy of which was Paul. It was only through their work that Christianity would become a world religion. Nobody really knows what Buddha looked like. Gautama Buddha was born a prince to a small kingdom in Nepal. A prophesy held that Buddha would grow up to be either a great king or a great holy man. Buddha’s father hoped for the former and for this reason he attempted to steer Buddha away from a religious life by raising him in a sheltered environment, concealing all human suffering from his view. This plan backfired; Buddha became shocked by the sight of old age and disease when he witnessed them for the first time as an adult. This led Buddha on a journey away from the luxuries of his home in search of truth and enlightenment. Whilst meditating, Buddha received his enlightenment, developing the idea of the Noble Eightfold Path, which are a set of eight ethical principles to live by, including concepts such as honesty and non-violence. Gautama Buddha spent the rest of his life traveling through the Indian subcontinent preaching his new faith. But it was not until after his death, during the reign of Ashoka the Great, that Buddhism would spread beyond this region into East Asia where it has to this day received it’s largest number of adherents. Most Significant Accomplishment: Established Christianity as the favoured religion of the Roman Empire. 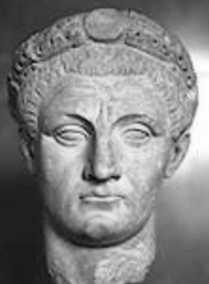 Constantine the Great became Emperor of the Western Roman Empire in 306 AD, and after a civil war, became sole ruler of the entire Roman Empire in 324 AD. When Constantine first came to power, Christianity was a growing religion with a significant number of adherents. Nevertheless the movement had just suffered from it’s most devastating persecution under the rule of the Emperor Diocletian. 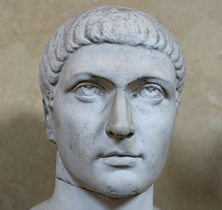 Constantine became the first Roman Emperor to convert to Christianity and worked tirelessly to spread and promote his new faith across the empire. He legislated freedom of religion for Christians and ordered the return of church property that had been confiscated during the persecutions. He was also praised by the Christian historian Sozomen for ensuring that Christians were placed in almost all the principal positions in government. During Constantine’s reign, Christians were still only a fifth of the population of the western portions of the Empire, but they already made up approximately half the population of the Eastern provinces. (source) This may have been one of the reasons why Constantine decided to move the capital city of the Roman Empire from Rome to a brand new city that he built in the East called “Constantinople". At his new capital he could surround himself with a loyal Christian population and the city was also easily defendable, being surrounded by sea on 3 sides and mountains on the fourth. Constantinople would grow to become one of the largest and most wealthy cities in the world for the next 1,000 years. Nobody really knows what Muhammad looked like. Charles Darwin was an English naturalist of the Nineteenth Century. He established that all species of life have descended over time from common ancestry, and proposed the scientific theory that this branching pattern of evolution resulted from a process that he called natural selection. He published his theory with compelling evidence for evolution in his 1859 book On the Origin of Species. The scientific community and much of the general public came to accept evolution as a fact in his lifetime. However, it was not until the emergence of the modern evolutionary synthesis from the 1930s to the 1950s that a broad consensus developed that natural selection was the basic mechanism of evolution. In modified form, Darwin's scientific discovery is the unifying theory of the life sciences, explaining the diversity of life. Darwin was not alone in developing the theory of evolution; Alfred Wallace developed a similar theory independently, and made his theory known to Darwin in a private letter. The two men then came together to present their findings to the scientific community in 1858. Nevertheless, Darwin had begun to toy with the idea of evolution by natural selection as early as 1837, when Wallace was still a child and had spent the interim period gathering evidence and formulating his ideas before publishing. In 1859, Darwin published "On the Origin of Species". The book was written for non-specialist readers and attracted widespread interest upon its publication. 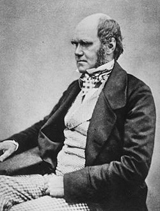 As Darwin was an eminent scientist, his findings were taken seriously and the evidence he presented generated scientific, philosophical, and religious discussion. Within two decades there was widespread scientific agreement that evolution, with a branching pattern of common descent, had occurred. Darwin's work has had a tremendous impact on society since the theory challenged beliefs about the creation of life on earth and the place of humans within it. The Roman Empire’s conquest of the Mediterranean and Western Europe, and the stories of Roman Emperors such as Julius Caesar and Octavian are well known. But what is perhaps more impressive is the story of how the Early Roman Republic, confined to a small area of central Italy, and surrounded by many larger, aggressive tribes and city-states, was able to dominate the Italian Peninsula. It was Rome’s dominion over Italy that gave her the resources and manpower that was required to take on the Carthaginians, the Greeks, and the Gauls. Before Rome could become the sole super power in the Mediterranean, she had to first become the sole super power in Italy. Appius Claudius was a key political figure in this success, in 312 BC he served as Censor to the Roman Republic. He expanded the voting franchise to non-land owning rural tribes and in allowed the sons of freedmen to serve in the Senate. These political reforms were key steps in the long term process of insuring that conquered peoples could be fully integrated into Roman society which led to the political stability that would be the envy of Rome’s opponents. He built the first Roman Road, the Appian way, connecting Rome with Capua which was invaluable in ensuring Rome’s communication lines during the Second Samnite War. He also built Rome’s first aqueduct, the Aqua Appia. Appius Claudius served as Consul in 307 BC and 296 BC, and was appointed Dictator in 292 BC and 285 BC. In 280 BC Appius Claudius was an old man and had become blind, which is the origin of the title “Caecus”. By this time, Rome had come to dominate the entire Italian Peninsula, only the city of Tarento in the far southeast of Italy was still holding out against her. At this time, Tarento called upon her ally, the Macedonian Kingdom of Epirus for aid. King Pyrrhus of Epirus headed the call and arrived on the shores of Italy with a large army that included Indian war elephants. Pyhrrus was an esteemed general and cousin of Alexander the Great, he was able to defeat the Romans in a number of battles, and offered peace with Rome on the condition that they withdraw from the Greek region of Southern Italy. At first the Roman Senate was inclined to accept Pyhrrus’s peace terms. But then the blind old Appius Claedius Caecus appeared on the senate floor urging his compatriots to never surrender. This is the first recorded political speech in Latin, and is the source of the saying "every man is the architect of his own fortune" (Latin: quisque faber suae fortunae). For the rest of the conflict with Pyhrrus, Rome’s official policy was to refuse any peace negotiations whilst Pyhrrus’s forces remained on Italian soil. The Romans never actually defeated Pyrrhus on the battlefield, instead his forces were slowly diminished through attrition and he left Italy demoralized. Pyhhrus’s defeat was the final step in Rome’s conquest of the Italian Peninsula, the stage was now set for Rome to begin her conquests of the rest of the Mediterranean World. Whilst most of history has been made by men, few of the most influential men throughout history did much to change the lives of half the population: women. It was up to women themselves to demand that society treat them as equals and it was only in the very end of the nineteenth century and the beginning of the twentieth century that they began to do so en masse. But before this time, there was an early pioneer of the women's movement named Olympe de Gouges. Olympe de Gouges was a political activist of the French Revolution and one of the first feminists in history. She began her career as a playwright in the early 1780s. As political tension rose in France, de Gouges became increasingly politically involved. She became an outspoken advocate for improving the condition of slaves in the colonies. At the same time, she began writing political pamphlets. Today she is perhaps best known as an early feminist who demanded that French women be given the same rights as French men. In her Declaration of the Rights of Woman and the Female Citizen (1791), she challenged the practice of male authority and the notion of male-female inequality. 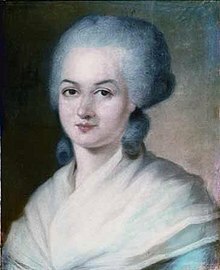 She was executed by guillotine during the Reign of Terror for attacking the regime of Maximilien Robespierre and for her close relation with the Girondists. It would be another hundred years before women would begin to be given equal rights under the law. Nevertheless, in the long history of the struggle for recognition of the rights of women, her declaration played a very important and positive role. 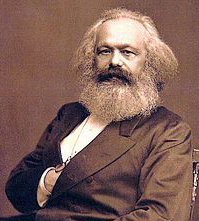 Karl Marx was a German philosopher and political economist who developed the socio-political theory of Marxism. His Marxist ideas played a significant role in the development of modern social science and also in the socialist political movement. He published various books during his lifetime, with the most notable being The Communist Manifesto (1848) and Capital (1867-1894), many of which were co-written with his friend, the fellow German revolutionary socialist Friedrich Engels. Marx argued that capitalism, like previous socioeconomic systems, would inevitably produce internal tensions which would lead to its self-destruction and replacement by a new system. Just as capitalism replaced feudalism, he believed socialism would, in its turn, replace capitalism, and lead to a stateless, classless society called pure communism. Marx also argued that socio-economic change occurred through organized revolutionary action, and that both social theorists and underprivileged people should act to carry it out. While Marx remained a relatively obscure figure in his own lifetime, his ideas and the ideology of Marxism began to exert a major influence on workers' movements shortly after his death. This influence gained added impetus with the victory of the Bolsheviks in the Russian October Revolution in 1917, and few parts of the world remained significantly untouched by Marxian ideas in the course of the twentieth century. During the Cold War, the world became geo-politically divided between those countries that embraced Communism and those that embraced Capitalism, and no country could remain uninfluenced by this struggle. Although Communism has faded from the West as a method of structuring society, it continues to play a major role in the most popular nation on Earth: China. Furthermore, the entire world is still feeling the ramifications of the twentieth century geo-political conflict between Communism and Capitalism.